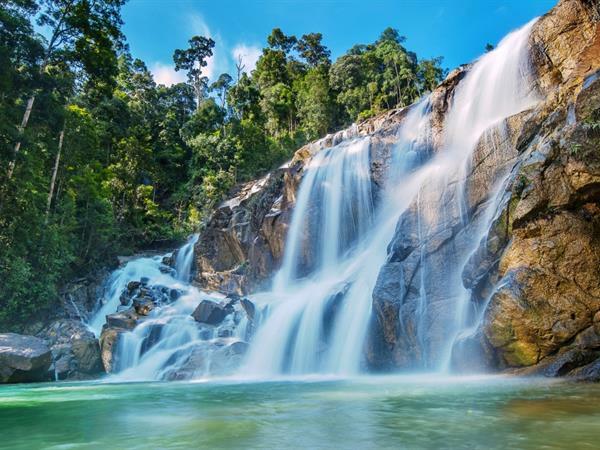 Located in a Forest Reservation Area, Sungai Pandan Waterfall is considered one of the most beautiful falls in the whole of Malaysia and is less than 25 kilometres from Kuantan. The 100-metre cascading waters fall into a shallow pool that is perfect for cooling off and attracts families enjoying picnics and swimming, with vendors selling food. Meanwhile, there are jungle trails at the top of the falls that are set in 25-hectares of protected forest greenery.